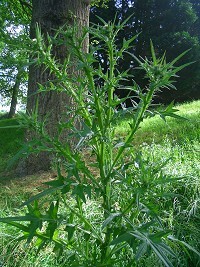 Spear Thistle is a very common weed in Britain. It is found in fields, gardens and wasteland. 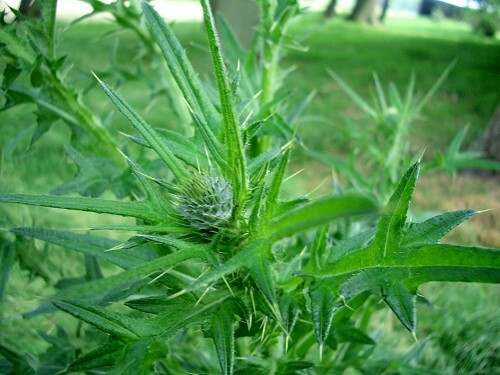 It is quite difficult to identify the different types of thistle. 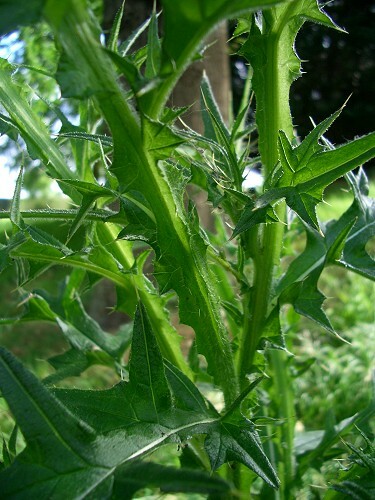 Spear Thistle is very similar to the Field Thistle. The difference is the stem of the Spear thistle which is spiny and winged. 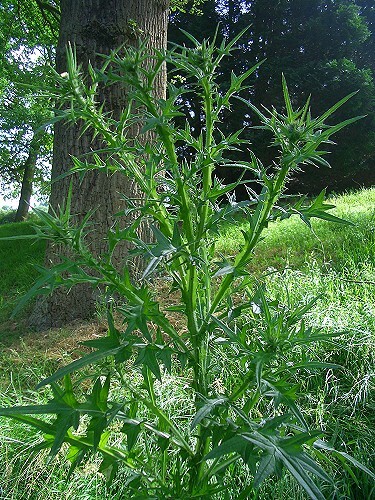 This thistle grows to a maximum of about 120 cm. The flowerheads are purple, up to 2.5 cms across. The leaves are long, narrow and very spiny.